“I lift up my eyes to the mountains—where does my help come from? My help comes from the LORD” (Psalm 121 v 1). Being a parent is a wonderful gift, but it is also difficult. There’s no owner’s manual to guide us in all the choices we face each day. Praise God that we can turn to him for the help we need! Pray that he will guide your steps and lead you as you parent today. “He who watches over you will not slumber; indeed, he who watches over Israel will neither slumber nor sleep” (Psalm 121 v 3-4). As parents, we are limited. Even with modern technology, we can’t watch our children at every moment (although we certainly try!). Thank God that he is always watching over them, and that he never slumbers or sleeps. Pray that your child will know God is with them, no matter where they go or what they face. “ The LORD is your shade at your right hand; the sun will not harm you by day, nor the moon by night” (Psalm 121 v 5-6). We all need a place of refuge. The world can be difficult and lonely. Pray that when life is hard for your child—when they experience a broken heart, a difficult illness, or a painful consequence—they will turn to the Lord and find comfort in him. “The LORD will keep you from all harm—he will watch over your life” (Psalm 121 v 7). While we want to keep our children safe, we know we are often powerless to protect them from skinned knees, harmful gossip, and their own mistakes. Pray that the Lord will use the trials they endure to draw them closer to himself, and that he will keep them from all that he sees is harmful. “ The LORD will watch over your coming and going both now and forevermore” (Psalm 121 v 8). Our children make choices each day. As they grow, these choices increase in significance. Pray that the Lord would guide your child in the future as they choose what to study, which church to be part of, who to marry, or what job to pursue. 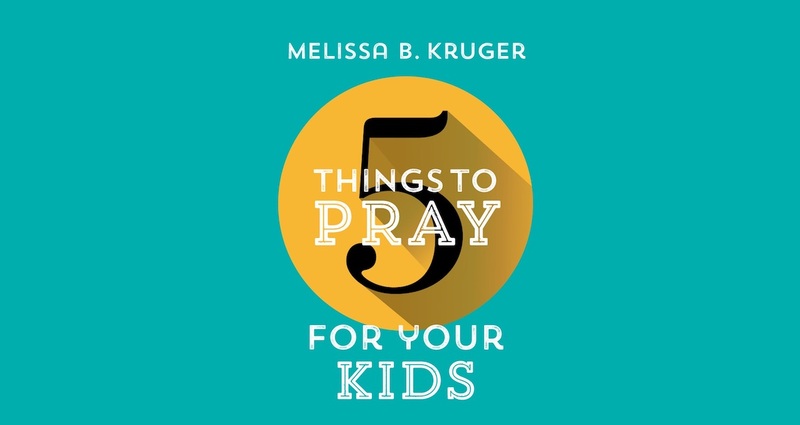 5 Things to Pray for Your Kids is available to buy here. 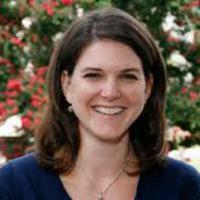 Melissa Kruger serves as women’s ministry coordinator at Uptown Church (PCA) in Charlotte, North Carolina, and is the author of The Envy of Eve, Walking with God in the Season of Motherhood and In All Things. She blog at Wit's End, hosted by The Gospel Coalition. Her husband, Mike, is the president of Reformed Theological Seminary, and they have three children.